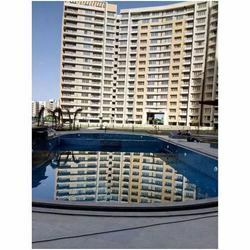 We are the leading supplier of Glass Mosaic swimming pool tiles. 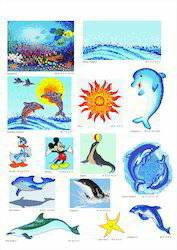 We take application work for Swimming Pool Glass Mosaic tiles. We create great new designs of glass mosaic tiles for swimming pool. Apart from this we provide Glass Mosaic Tiles for different other applications such as Bathroom Area Mosaic Glass Tiles; Kitchen Wash Area Mosaic Tiles in Glass; Beautiful Fountains Glass Mosaic tiles for Apartment and Residential area Entrance and car park area glass mosaics tile. PRISTINE (SIA MOZ ART) MOSAICS founded in 2014, is now industry leader in the production of glass mosaic tiles. With a rich industry experience in manufacturing high quality glass mosaic tiles, we are offering distinct range of glass mosaic tiles. PRISTINE (SIA MOZ ART) MOSAICS allows the designers an unbelievable, first of its kind palette of colours and textures creating stunning visual effects covering most architectural needs. These mosaic tiles are provided with fine polishes to give them brushing effect. In adition to the manufacturing, we also provide fixing of glass mosaic tiles. As a series of glass mosaic tiles range, catters to the Government sector as urban designs and remodeling projects use our glass mosaic tiles. 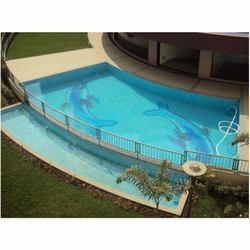 We also catters to private residential sector as interior and exterior projects use our glass mosaic tiles extensively for swimming pool, bathroom, dinning hall, entrance wall, lobby, staircase, pillars, lakes, water parks, under water glass mosaic, ceramic mural designs, borders, decorative porcelain tiles, glass mosaic adhesive, Glass mosaic grout. We at Pristine Mosaics listen to our clients, respect their test, and simply provide them design and product options to design a beautiful living environment. One can see beauty in everything. It is possible to make colours and textures complement each other with right glass mosaic tile products. As a series of glass mosaic tiles range, We carters to the Government sector as urban designs and remodeling projects use our glass mosaic tiles. 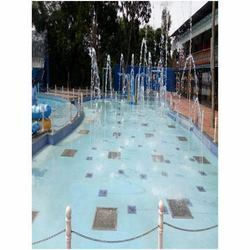 We also carters to private residential sector as interior and exterior projects use our glass mosaic tiles extensively for swimming pool, bathroom, dinning hall, entrance wall, lobby, staircase, pillars, lakes, water parks, under water glass mosaic, ceremic mural designs, borders, decorative porcelain tiles, glass mosaic adhesive, Glass mosaic grout. Packaging Details: Export worthy cardboard packing, light weight but strong. 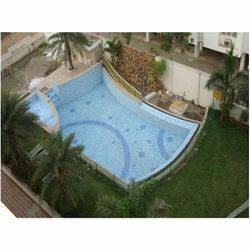 Backed by our flourishing business processes, we are able to offer a flawless quality range of Swimmingpool Glass Mosaic Tiles. In order to meet the varied requirements of our customers, we offer these tiles in adventura, blends, plain, murals, hand cut, gradations and many other patterns. Apart from the variety of patterns, our customers can also avail these tiles in square type and irregular shapes. We at Pristine Mosaics listen to our clients, respect their test, and simply provide them design and product options to design a beautiful living environment. One can see beauty in everything. It is possible to make colours and textures complement each other with right glass mosaic tile products. Glass Mosaic Tiles in different colour. The Blue color glass mosaic tiles or Random mix of different shades of Glass mosaic tiles prefered for Swimming Pool, water Pool and Bathroom Application. 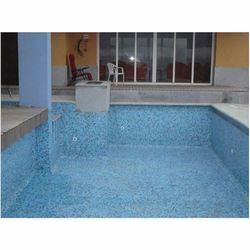 We also take reparing work of glass mosaic tiles in matching colour for existing old swimming pool tile retrofitting. 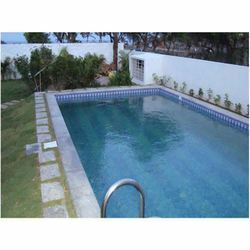 Manufacturer and exporter of Swimmingpool Tile from India.